Building a strong presence on the net is a long-term proposition. Unless you’re a celebrity or a genius it’ll take you a year or more to build your author platform and gain a significant following. To do so you need to establish presences in a number of places, because they have different functions in your book marketing strategy. But it’s not enough to establish your sites on the net – you also need to promote and cross-promote them, regularly respond to comments and questions, and update these sites frequently. If a fan returns to your site after a month or two and finds nothing new, or worse, stuff that’s obviously out of date, they’re unlikely to return. But remember, to build your audience, the great majority of your updates should be engaging, relevant, informative and free. What are these functions – what does online networking actually do? What is an author platform, for that matter? Your author platform is the way you’re currently reaching an audience. For most people, other than celebrities, this is your online presence, whether it’s your website, Facebook, Twitter, blog, YouTube, or several of these. Directly and indirectly, promote your books (and any other services you may offer). The following activities are the most important for book marketing. Ideally, you’ll do all of these, assuming you have the time. It takes a lot of work. I don’t recommend you work on everything at once. After you’ve created your website, start on one other activity – your blog, or Twitter, or your Facebook fan page – and when it’s working well you can move on to the next. But if there’s one activity you’re not comfortable with e.g. creating and posting videos to YouTube, don’t worry about it. You can’t do everything and it’s better to do a few things well than many things badly. Remember that social media like Facebook, Twitter, your blog, YouTube feed and GoodReads page aren’t for direct marketing, but for connecting to other like-minded people. Only a tiny fraction of your updates to social media sites should be direct marketing – i.e., versions of ‘Buy my book!’ The great majority of your updates should be useful, informative or entertaining. For direct marketing, you’ll use your website and especially your email newsletter. And perhaps some carefully targeted advertising on Facebook or GoodReads. Gain a large audience and drive relevant traffic to your main author platforms (website, blog, Facebook fan page, newsletter etc). Develop your social media strategy to reach these goals, considering your available time and resources. Work out the topics you’re going to post about, then stay on message. Don’t do unrelated posts. General principle in social media: give more than you get. Reach out to people and ask – who can I help? Do this by sharing your expertise and experience. Promote only rarely, and when you do, be subtle. People who love the genres I write in. Other writers trying to find a way through the maze. The way you’ll develop your platform will depend on your own time, skills and resources. I’ve used my own sites as examples of how these can be done well (or poorly, in some cases – I’m still learning, and I welcome your comments). Your website – the first and most reliable source of information about you and your books. ◦ Optimise it for mobile devices. Twitter – probably the fastest and simplest way to build your audience, to meet and develop relationships with other authors, influencers and potential book buyers, to keep up to date, get help, create a buzz about your book or content, and to drive traffic to your other sites. It’s also a good place to help others by sharing your knowledge and expertise, thus enhancing your reputation as an expert. It’s also easy compared to other social media: the learning curve is small and tweeting need not take a lot of time. To gain followers, post valuable or useful content (your own articles and links, plus interesting and relevant material you’ve come across, but not ads or personal trivia) several times a day – with your other tweets being replies, retweets etc. Be yourself: authentic, friendly and helpful. You can write and schedule your updates in advance with HootSuite. The Twitter Guide for Authors is helpful and relevant. Twitter can become a time-wasting distraction, but many writers find it extremely useful for meeting like-minded people, making other industry contacts, and as an instantaneous publicist. I use it mainly for telling people about interesting blog, Facebook or website content (other peoples’ as well as my own content), learning from experts in my areas of interest, and driving traffic to my site and blog. Ian on Twitter. Your Blog – a great way to gain followers, network with influencers, drive traffic to your sites and be found by search engines. Also a good place to help others by sharing your knowledge and expertise. Blogs are relatively easy to set up and maintain, but using them effectively requires a significant time commitment – ideally, at least 5 hours a week. Create a structured blog on a topic or topics of broad appeal, with lots of useful content and helpful or thought-provoking (or controversial) articles, that’s regularly updated (ideally, several days a week), and provide quick responses to readers’ comments. ◦ Google ‘effective blog design’ and set up a clear, well-structured, uncluttered blog that’s easy to read, and easy to find content on. ◦ Make it clear at a glance what your blog is about and who you are. ◦ Make it easy to search, bookmark, share and subscribe to your blog, so visitors will return. ◦ Make it mobile friendly. Up to a third of all visitors come from mobile devices. ◦ Blog comments. Reply promptly to comments on your posts. It’s also helpful to post comments frequently to other relevant blogs (but not comments that are really ads for your book). ◦ Blog tours. Organise a blog tour where, over a few weeks soon after your book has been published, you do guest posts and respond to readers’ comments on 10 – 20 other relevant blogs. Blog tours are also very useful to get a buzz going, though quite a bit of work – for the two tours I did earlier this year, I wrote 40,000 words of posts. For more info. Next Sunday Part Two of Ian’s Marketing for Authors. Feel free to send questions through to Ian. 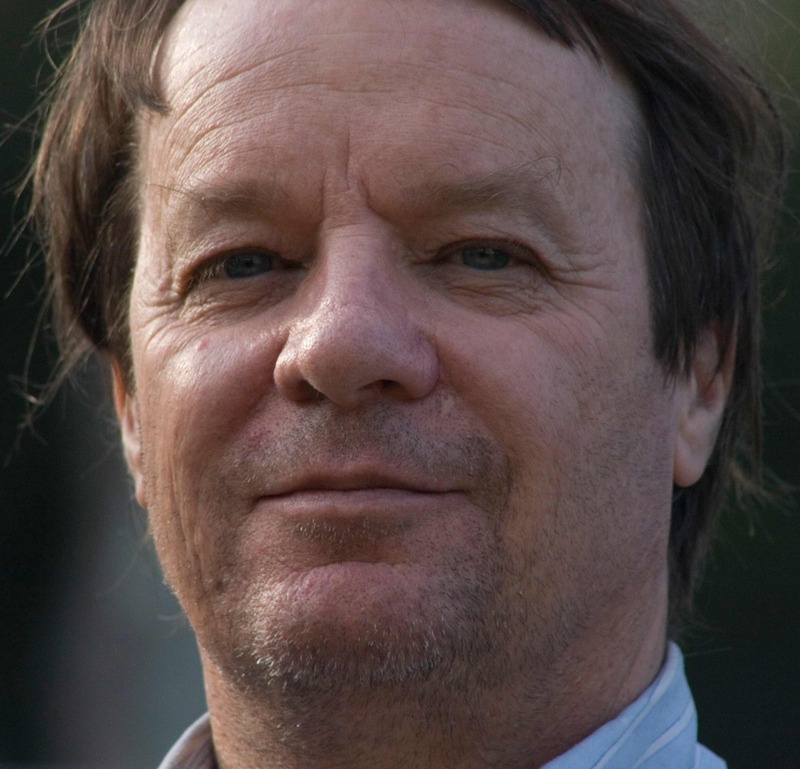 Ian Irvine is an Australian marine scientist who has also written 27 novels, including the international bestselling Three Worlds epic fantasy sequence, a trilogy of thrillers about catastrophic climate change, Human Rites, and 12 novels for children. 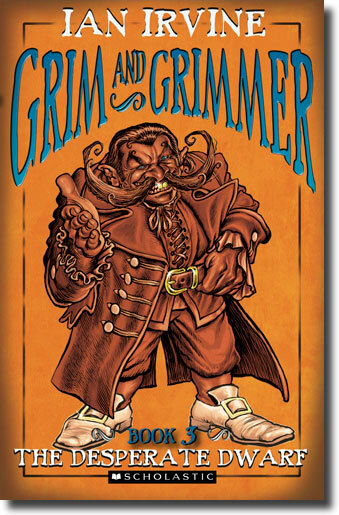 His latest children’s series is the humorous adventure fantasy quartet, Grim and Grimmer. 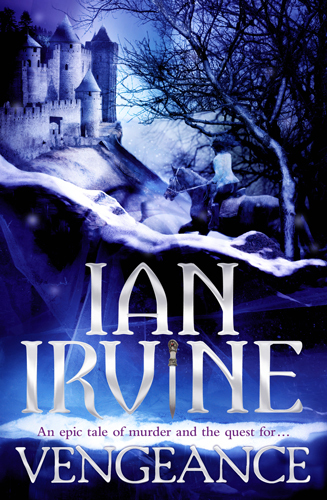 Ian’s latest epic fantasy is Vengeance, Book 1 of The Tainted Realm. Last January I posted on my historical book promotion efforts: and at the end I talked about poking a tentative toe into the murky sea of social media. Some time back Rowena kindly invited me back to provide an update on my adventures with Facebook, my successes and failures, insights and disappointments, and finally, after missing many deadlines, here it is. Why did I decide to put so much time and effort into social media, I hear you ask? Because over half my readers are under the age of 35 and I wanted to contact them directly – as well as older readers, of course. And also, because fans are different these days – they want a two-way dialogue with the authors whose books they love, and social media offers the best way to do this. Ten, even five years ago, email was one of the key ways for authors to communicate with fans, particularly young fans (I used to get email from roughly 1 in 300 of the people who had bought my books – or, at least, had read them). However a one-to-one dialogue is very time consuming and most authors don’t or can’t find the time to reply individually to hundreds (or for big-name authors, thousands) of emails a year. Now, with the rise of social media, email contact is fading at the same time that fans’ expectations are climbing. Few people read book review pages in newspapers these days, or go to conventions, while launches and signings have almost disappeared, and only celebrity authors go on book tours. But more than half the population of Australia (and most other developed countries) use social media regularly, and that’s where any author who wants to communicate with fans should be. Making contact with people who love the kind of books you write. Engaging in two-way conversation with them. Helping others, answering questions and sharing resources. It’s the most used social media platform in the world, with 750 million users and still growing rapidly. More than half of these users log on every day, and 85% weekly. In Australia alone there are more than 10 million active users, defined as those who use Facebook at least once a month. It’s a relatively gentle introduction to a social media environment. Its features are more comprehensive than other popular social media sites. It’s easy to contact people with similar interests – for instance, the 3,400 people in English-speaking countries who have said on Facebook that they are specifically interested in my books. This number may seem small (for a range of popular authors, I’ve calculated that specifically interested fans typically number 1 person for every 300-400 books sold worldwide) but they are among your most committed readers and it’s good to reach out to them and find out what they’re interested in. Also, given that word-of-mouth is one of the key ways that readers discover new authors, committed fans are vital to the success of your new books. Another advantage of Facebook is that it has terrific metrics – you can get a wealth of detail about which groups of people are visiting your Page (and which are not). Also, if you use Facebook ads, there is instantaneous feedback as to whether they’re working or not – and if not, why not. You can stop the campaign immediately and change it to better meet your objectives. The most effective way to use Facebook is via a business Page set up for individuals (eg writers, artists, bands, public figures) wanting to use Facebook for business purposes. This Page contains a range of features designed to help users connect with you. Note that business Pages are different from the most commonly used type of Page, a personal profile page for an individual to use in a non-commercial way. To set up a business Page, go here and follow the steps. Once a business Page has 25 fans (ie, people who have “Liked” it) you can apply for a ‘vanity’ Facebook URL, which is a neat, logical and distinct URL for your page. Mine is http://www.facebook.com/ianirvine.author. Facebook Pages come with several standard apps (or tabs) such as Info, Photos, Discussions, Notes etc. Thousands of other apps are available for a myriad of purposes – for instance, to create a tab for all your books or your latest book, your Twitter feed, to run a poll or a promotion. For ideas on what apps are available, Google “best apps for Facebook business pages”. My daughter Fiona, a social media whiz, put together a 30-page strategy for me. I provided the content and she set up my Page. It’s called a Page though it’s really a site with many different tabs and more than a hundred (printed) pages of content, not counting the Wall where most of the social interaction takes place. Your Facebook Page should not try to reproduce your website, but it’s important to have blurbs, covers and other information about all of your books there. You should also have a landing tab (this is where people will arrive until they Like your page, after which they’ll come to the Wall) with a large cover picture and clear details about your most recent book. It’s a good idea to provide buttons or links for fans to order your books from a variety of outlets, not just Amazon. Also include links to your website and specifically to first chapters, FAQs, interviews, book trailers and other material of interest to many readers. It’s better to keep the latter info on your website as it offers far more flexibility in presentation. The key to success on Facebook is to get a large number of people to Like your page. They have to Like it to be able to comment or post to your Page. Once they have Liked it, they receive a news feed of your posts, which, as well as the social aspects, has obvious promotional benefits. Also, your news items of particular interest will often be reposted to other Facebook pages, gaining thousands of extra views. The interaction can’t just be one way, though. It can’t just be the author relentlessly promoting his or her books – it’s important to listen and respond to what your fans have to say and interact with them as a human being rather than a promotional robot. Even if you’re reasonably well-known as an author, however, you can’t merely set up your Page and expect people to come – in 6 months time you’ll be lucky to have a couple of hundred fans, which isn’t enough. In my view, for Facebook to be of much use as a promotional tool, a Page needs to have a minimum of 1,000 fans, and the more the better. To achieve these targets, I had to strongly promote my Page. I’ve done this in a number of ways, including directly to my contacts by email, by contact via newsletters, blog tours and other online places, by running competitions and with advertising on Facebook and elsewhere. Emailed over 600 contacts and recent fans individually, and contacted another 1,500 or more people via various writer’s lists and newsletters, and on blogs. Put info about the Page and my competitions prominently on my huge, redesigned website, and installed Like buttons on every page. Posted many sets of books to online reviewers. This gained 8 reviews, including 2 in the NSW Writer’s Centre weekly newsletter which went out to 6,500 book lovers. 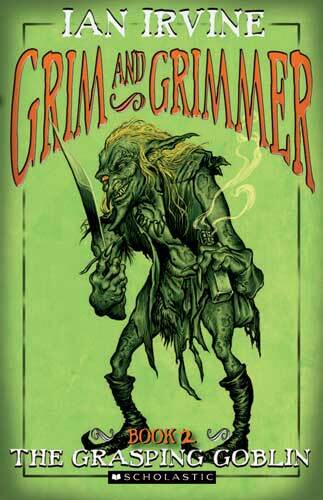 Two blog tours for the Grim and Grimmers, including 32 posts on other book blogs, totalling 40,000 words. Attended various conventions including Supanova in Brisbane (23,000 people were there). Established presences at various other internet sites including GoodReads, Google+, AboutMe.com, Shelfari etc. Initially I set up a weekly competition entitled 300 Books in 200 Days, where I planned to give away three of my signed trilogies or quartets every week until July (since changed to 500 Books in 300 Days and now running until the end of 2011, at least). 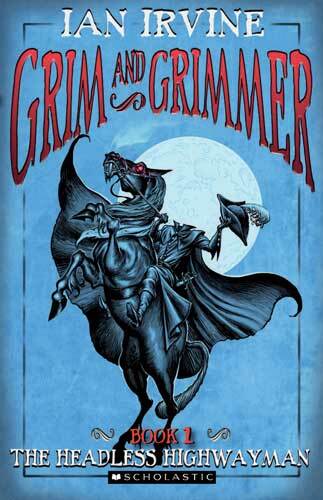 All new visitors to my Page arrive at the Grim and Grimmer tab, which has covers, blurbs and reviews for these books, plus links to sample chapters, readings etc. Visitors have to Like my Page to enter the comps. So far I’ve given away over 200 books, which I’ve mailed to winners all over the world. Every month I give away a set of The View from the Mirror audiobooks – 91 hours of magic, action, adventure and a little romance – and this prize has proven very popular. I suspended the book giveaway comp for the month of April in order to give away an iPad 2 – a very successful promotion. Note that Facebook has strict rules governing the use of promotions, which can be found here. Facebook doesn’t allow competitions or promotions to be run on its pages; they have to be run and hosted on a separate app, and winners notified by email or other means, not via Facebook message. I use the EasyPromos app to run my competitions ($15 per promotion) and I’m very happy with it. To see the current promotion, or enter it (remember to Like my page first, ha!) you can click the Promos tab on my Page Wall or go here. You should also be aware that competitions where there is no skill involved, ie where the winner is selected randomly, are illegal in quite a few countries, and penalties are severe. For this reason, I restricted my iPad 2 giveaway to Australia and obtained a NSW permit for it ($75), which covers the whole country. My book giveaways, which are selected on the best answers, are games of skill, not chance and don’t need a permit. Apart from great metrics, advertising on Facebook has another terrific advantage: members indicate what they’re interested in when they set up their Facebook account (books, music, movies, etc), and you can target ads directly to those people who are most likely to be interested in them. For instance, in the Ad Creator I entered the main English-speaking countries (Australia, UK, US, Canada, New Zealand, South Africa and Ireland), then ‘Ian Irvine” under ‘Specific Interests’, which revealed that 3,400 people in those countries were specifically interested in my books. Clearly, it was very important to attract as many of these people as possible to my Page, so I directed one version of my book giveaway ad to them. This process will only work if you’re a reasonably well-known author with a following, of course, otherwise your name won’t come up under ‘specific interests’. But you can do many other things. 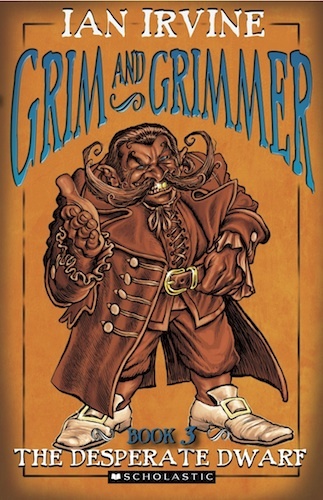 For the Grim and Grimmers, I directed other versions of my ads to people who like humorous children’s fantasy series such as Artemis Fowl, Bartimaeus, Skulduggery Pleasant etc. In this way you can target as few or as many people as you wish, for any author or book series that’s relevant, or any combination of these. With these ads, you only pay when someone actually clicks on the ad and is taken to your Page, so at least you know they’ve seen the content there. This doesn’t mean they’ll Like your page, of course. I gained a high proportion of Likes for the ‘Ian Irvine’ ads described above, and also for the iPad 2 giveaway I ran for the month of April. My book giveaway ads have a much lower rate of Likes – clearly, lots of people don’t want free books enough to Like the Page and enter the comps, but I’ve also realised that the comps should be easy to enter and have simple questions, otherwise most people won’t bother. It’s important to monitor the performance of your ads every day and stop any campaigns where you’re getting lots of clicks (for which you pay) but not many Likes. Since January, I’ve done over three months of carefully targeted Facebook ads. I’ve also done other ads, including a NSW Writers Centre e-ad which went out to 6,000 people on their mailing list. As I was in a hurry, because of book publication dates, this program was more expensive than it would otherwise have been. I’ve spent about $2,000 on advertising, and a good swag more on giveaways, postage etc. if I’d set up my Page a lot earlier, I could have gained much of my exposure and fans incrementally through blogs and other routes, and avoided much of the expense. But I don’t regret it. As of late July 2011, my Page has 2,100 fans and a fabulous level of interaction – some of my posts have had 70 or more replies. It’s a terrifically warm and supporting environment and has become very important to me, both promotionally and personally. 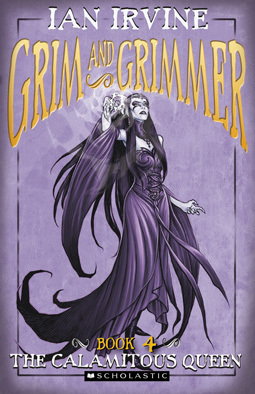 The Grim and Grimmers have gained a lot of reviews they would not otherwise have had, every review has been favourable and quite a few have been raves. So, definitely not a runaway bestseller, but I’m pleased that I’ve made a significant contribution to the success of these books. Will I be continuing Facebook promotion for my long-awaited new epic fantasy series, The Tainted Realm, which begins with Vengeance in November? Too right I will! In fact I’ll be expanding the advertising, and the competitions, including another iPad 2 giveaway in a month or so. Stay tuned. Not least, my Facebook Page has put me in touch with thousands of my most enthusiastic and loyal fans, and the dialogue I’ve had with them has been precious indeed. And thanks very much to Fiona, for the strategy and for setting up my Page and giving me continuing advice and assistance with it. I could not have done it without you. I’d just like to take this chance to thank Ian for his generosity in sharing this information. He has gone out there and done all the research. Then he’s taken the time to write this detailed and comprehensive guide. Show a little support and go Like his Facebook pages! It’s February; in another 6 weeks A Shadow on the Glass, the first book of my Darwinian fantasy The View from the Mirror is due to be published by Penguin Australia. And I’m more than a little worried. Why, I hear you ask? After writing this quartet for ten years, and thinking about it for ten years before that, you’re finally about to be published. You should be over the moon. And of course I am. After receiving the publication offer for my quartet, I floated for at least six months. 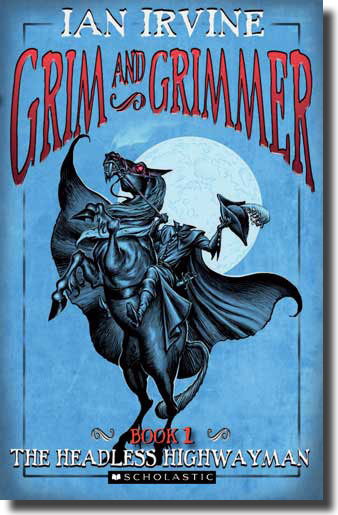 Penguin is a great publisher but … at this time they don’t have a fantasy list in Australia. I’m their first such author, and I’m actually being published through the Children and Young Adults section even though my epic fantasies are for the adult market. What if it goes horribly wrong? Then, browsing in a bookshop in February 1998, I discover copies of A Shadow on the Glass on the shelves, even though it’s not due to be published until April. Why have they put it out six weeks early? Why didn’t they tell me? I’ve not been asked to do any promotion and I’ve read all about books disappearing without trace. Help! The View from the Mirror is one 800,000 word novel in four volumes, so if the first book flops, it’s all over. I’ve got to do something to promote it, but what? I don’t know anything about book promotion and at this time the net is in its infancy. I can’t find anything useful there via my 28K dialup. 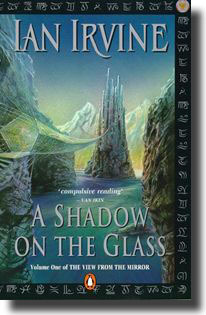 I decide to get thousands of large postcards printed, showing the front and back covers of A Shadow on the Glass. It’s a beautiful cover, based on artwork originally done around my kitchen table, and I print the titles and publication dates of the other three books on the back of the postcards. It’s expensive, but I have a big extended family to spread the word, and lots of contacts. 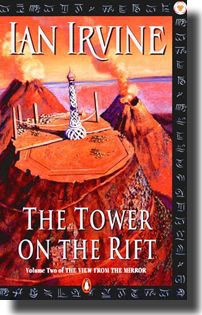 By the time Book 2, The Tower on the Rift, is published seven months later I’ve given 3,000 postcards away. Did it work? I don’t know. That’s the problem with traditional means of promotion – there’s no way to determine if it’s been effective or a waste of money. What about sales? A Shadow on the Glass had a big print run for an unknown author, 7,500 copies, yet it had reprinted three or four times by the time the final book in the quartet appeared eighteen months later. I suspect its success was mainly due to word-of-mouth, that readers just liked the books and told their friends. But it felt good that I’d done my best to help it along. Now it’s late 2000 and things have changed. Amazingly, I have several overseas publication deals (this was still a rarity for Aussie authors at the time) and my books are going brilliantly in the UK. My first eco-thriller about catastrophic climate change, The Last Albatross, has just been published in Australia by Simon and Schuster, so why am I really worried now? The thriller market is the most difficult of all to succeed in, and I’ve just been told that local readers rarely go for thrillers in Australian settings. Eco-thrillers are even worse – hardly anyone wants to read them. Now they tell me! 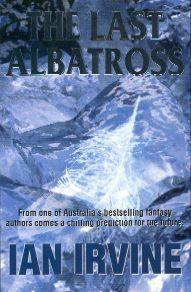 And The Last Albatross has a terrible cover, a good idea gone badly wrong. Postcards aren’t going to sell any books this time, but targeting specific interest groups might. In my working life I’m an expert in marine pollution and at this time I’ve been a consultant for 20 years. I put together a tantalising publicity sheet about the book (and my fantasy novels, of course) and do a mail-out to all my business contacts, then every environmental and pollution consulting firm and conservation group in the country. Between myself and my publisher, we send out thousands of letters. There was a significant spike in the sales of my fantasy novels over the time I ran the mail-out, enough to pay for the postage, which showed that it had been effective. The Last Albatross itself racked up modest sales, though without this promotion they might have been dismal. 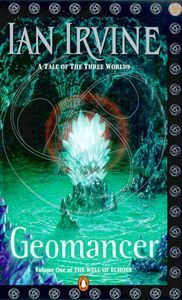 My new fantasy quartet, The Well of Echoes, which began with Geomancer, also sold well. 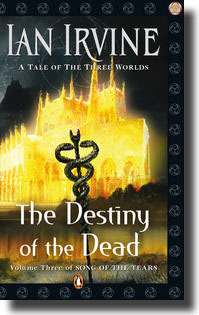 So has my trilogy The Song of the Tears, which ended with The Destiny of the Dead, and through this period I did not need to do a lot of promotion on my own behalf. Nonetheless, I concentrated on the following things. I put up a big web site with a huge amount of useful content – for example my long article The Truth About Publishing, which aims to tell beginning writers everything they need to know about writing and publishing. It has been republished a number of times and I still get a lot of mail from writers who have found it helpful (though scary). Other things I do: whenever I’m in a big city with some free time I go to the largest bookshops, give them a swag of my bookmarks or postcards, and sign as many of my books as they want. Bookshops love signed books because they increase the sales rate by 30%, and one time in Melbourne I signed 700 books in a couple of days. Staff in bookshops rarely meet the authors they sell; it’s nice to chat with the specialists in your genre, and afterwards they’ll hand-sell lots of your books or sometimes make a special display for them. 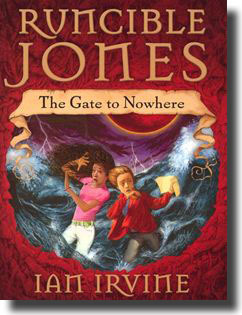 My next big promotion was for Runcible Jones The Gate to Nowhere, the first of a children’s fantasy quartet. Promoting children’s books is different; my contacts were little use to me here, and five years ago social media promotion was in its infancy. Nonetheless, I wanted to do something different and innovative, and my son Simon, who has qualifications in both graphic design and digital animation, had just finished uni. I asked him to design some posters for me, featuring scenes from the first and second Runcible Jones books. The posters had to be effective from A1 right down to postcard size, and I also wanted a couple of brief animations to use in a book trailer about the Runcibles. Simon designed several of the poster images in 3D in Maya, the movie animation program. I had each poster printed at A1 or A2 for use in school talks (one of the most effective ways to promote children’s books), plus lots of A3 copies for competition giveaways, 4,000 copies of each printed at A4, and 5,000 of each at postcard size. This is, of course, a very expensive promotion. It would not be worth it for a single book but could be justified to promote the number of titles I had out at the time. I used the A4s and postcards in a mail-out to 4,000 school and public libraries in Australia (also including info about all my other books, of course). This was highly effective in raising awareness about my books. Many libraries put the posters up, and it also resulted in over a thousand additional library sales. Small version of these posters can be seen here. And the book trailer, which contains two of these animations. I have several other book trailers up on YouTube. I’ve raised awareness about them by emailing my fan email Inbox, several thousand people. 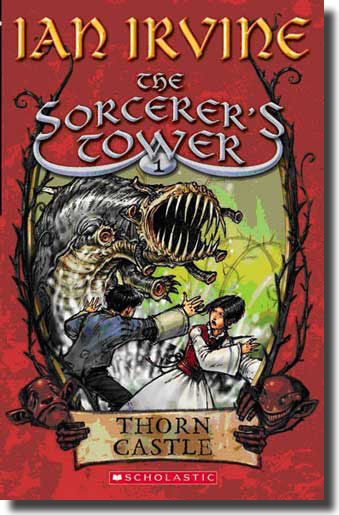 To promote my little Sorcerer’s Tower books in 2008, I did a week of school talks during one of Scholastic’s Book Fairs, speaking to about 1,900 kids from 10 schools. This was exhausting but effective – they sold 99 of the first Sorcerer’s Tower book, Thorn Castle, after one talk. Every primary school child wants the speaker’s autograph so I brought enough signed postcards and bookmarks with me to hand out to everyone – a graphic reminder of my books to show their parents. The explosive success of social media sites over the past few years, especially Facebook, has changed the promotional landscape forever. Young people are huge users and they don’t want to be marketed to – they want to have a two-way dialogue with the authors they love. To this end, I’ve set up a business page for my books on Facebook. Business pages are different to personal pages and are much more customisable via thousands of different Facebook applications. The paths to success here are – have a lot of interesting content about yourself and your books, add to it regularly, and interact frequently with people who post on your wall or contribute to discussions about your books. My Facebook page is here, and it’s huge. I’ve included cover images, blurbs and key reviews for all 27 of my books. Also first chapters, audio readings and links to samples from the audiobooks. I will put up more audio and video files frequently, as these are of great interest to younger readers. They also love quizzes and competitions, so I have both, and there will be new ones every few weeks. To drive traffic to this site I’ve begun a huge book give-away entitled 300 BOOKS IN 200 DAYS. Every week from January 1 until late July there’s a new competition where about 10 copies of my books or audiobooks will be given away. Later on I will also do Facebook advertising, which can be carefully targeted (eg, to everyone who likes Eoin Colfer’s Artemis Fowl books, or the Harry Potter books, or Tom Clancy’s). Social media marketing has another great advantage, terrific metrics. You can tell very quickly if the promotion is working, and if not, redesign it. These are just a few of the ways to promote your books – in the end, promotion is only limited by your imagination. And being writers, our imagination is unlimited, right? Good luck. If you had magic, would you use it for good, for evil, or for your own selfish purposes? What would you do first?